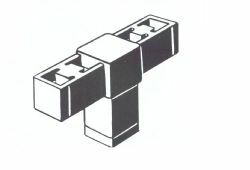 3-Way Nylon Flat Connector for either 1" or 3/4" Square Tubing. Select a Size 1 in. 3/4 in.